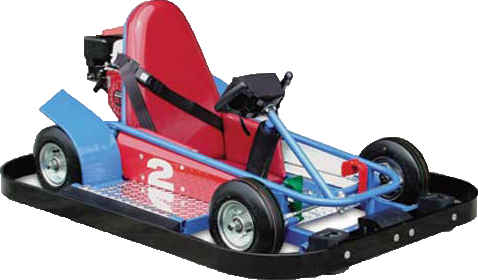 A fun and popular attraction with a maximum speed of 5-7 mph. The Kiddie Kart can carry a load up to 150 lbs. 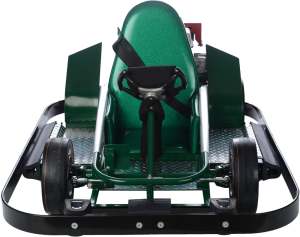 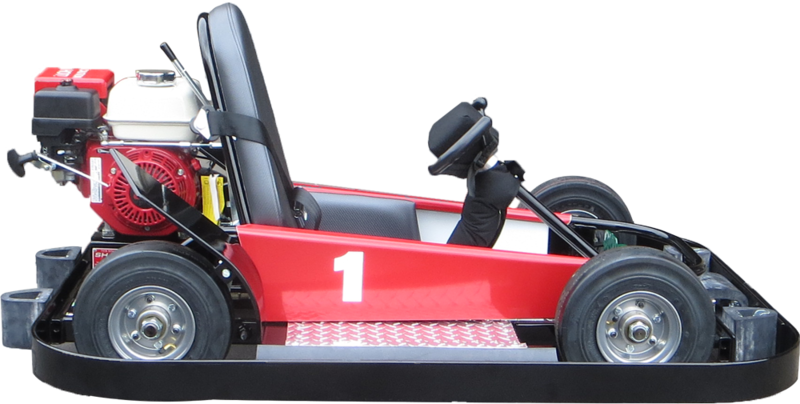 Children riding the Kiddie Kart must be able to reach the petals and have a minimum height of 36”. 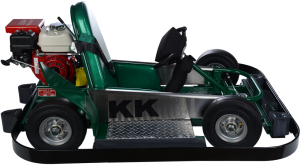 The Kiddie has many interchangeable parts with the standard Single-Seater. 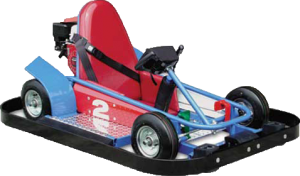 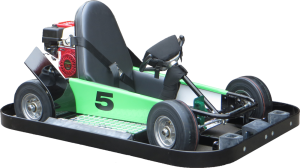 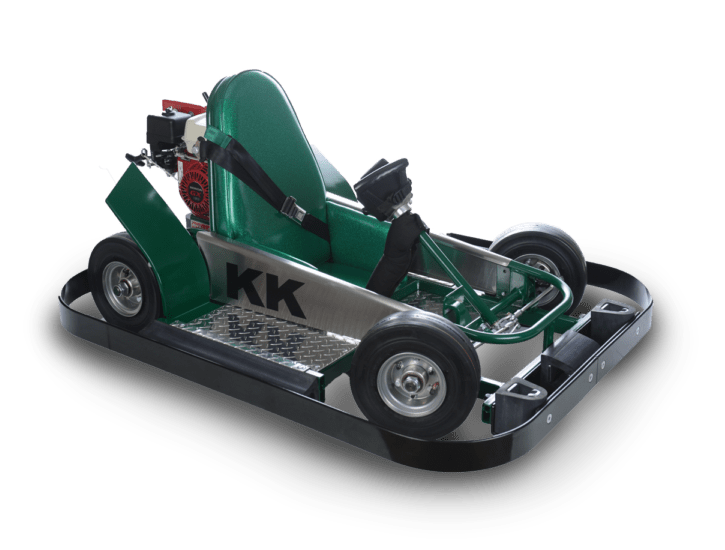 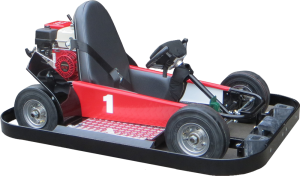 The Kiddie-Kart has a specially modified gear-box to obtain a 20:1 drive ratio with only one belt.